Athens – Hostels in Athens. Maps for Athens, Photos and Reviews for each hostel in Athens. 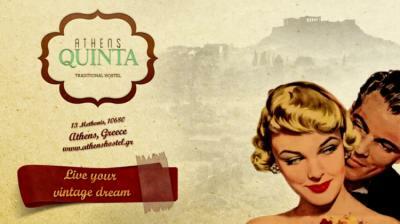 Looking for a hostel in Athens? Look no further, all the good deals in Athens are on Dorms.com. Like thousands of other people every month, book your hostel securely at the best price in all neighbourhoods of Athens. On this site, you can easily find a hostel downtown, in a trendy neighbourhood; a hostel in the student- university district, close to bus or train stations, airports or major attractions of Athens. Thank you so much for everything. They helped us a lot during the stay and gave us the best data of everything! The hostel is very well located in relation to the center of Athens, I had the opportunity to have breakfast on the rooftop one-on-one with the Acropolis, which I could also see from the balcony of the bedroom. During my visits to the city of Athens, I was also able to trust the security of the hostel and was able to enjoy myself, without having to worry about my personal belongings left at the hostel. I was also able to take advantage of the plan given on arrival to make a full tour of Athens in just one day. The hostel is clean and extremely well placed: psiri area (very lively at night) 5min walk from the subway, the staff very welcoming, good atmosphere within the establishment, the facilities are up to the price however a Less secluded kitchen or free TV in the common areas would have been perfect. Finally the rooftop (+++) offers one of the best views of Athens the bar / restaurant offers breakfast, dishes and drinks at reasonable prices. Stay on top, I recommend! 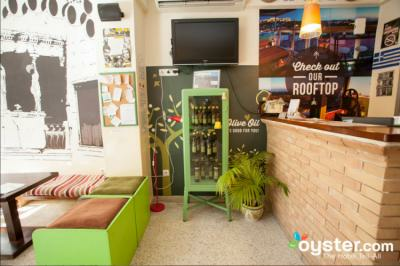 We spent 2 nights at AthenStyle, a hostel conveniently located in Athens. Right next to the subway, it is very easy to get to the port or the airport. In a few minutes walk we were in the pretty area of Plaka, on the edge of the Acropolis. Side room we had a dormitory to 4, very spacious, with air conditioning. The beds were comfortable, the staff always welcoming and available. And the must is the rooftop with the bar, on the 6th floor: beautiful view of Athens and the acropolis, good atmosphere, great choice of drinks and even to eat! We will choose this hostel again at cpup sure if we return to Athens. Toop, a great hostel! good atmosphere, very friendly staff, nothing to say.